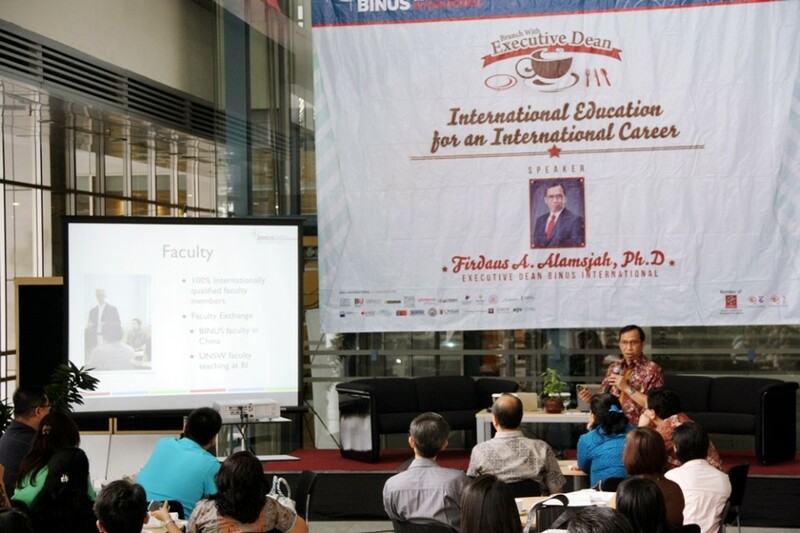 ‘BRUNCH with the EXECUTIVE DEAN; International Education for an International Career’ was held at BINUS INTERNATIONAL’s main lobby on Sunday, November 10, 2013. 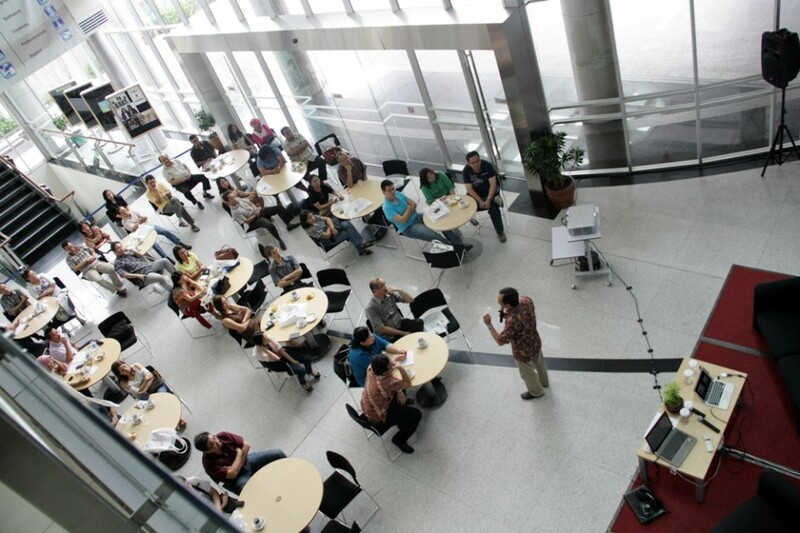 The event, which is held three to four times per year, received a warm welcome from participants, the parents of BINUS INTERNATIONAL’s prospective students. Also attending the event were some active students who have already begun their careers; such as Rianti Dwiastuti, student of Fashion Management – BINUSIAN 2015; Angkasa Ramadhan, student of Film – BINUSIAN 2014; and Raymond Baruna, student of Hospitality & Tourism Management – BINUSIAN 2014. Alumni of BINUS INTERNATIONAL who have successfully shaped their career in the international arena also shared their experiences with the parents of the prospective students. Among the alumni coming to the event were Fiona Angelina who works at Commonwealth Bank and has also earned a scholarship from her work; and Yanestasia Anggraini who works at IBM Indonesia. 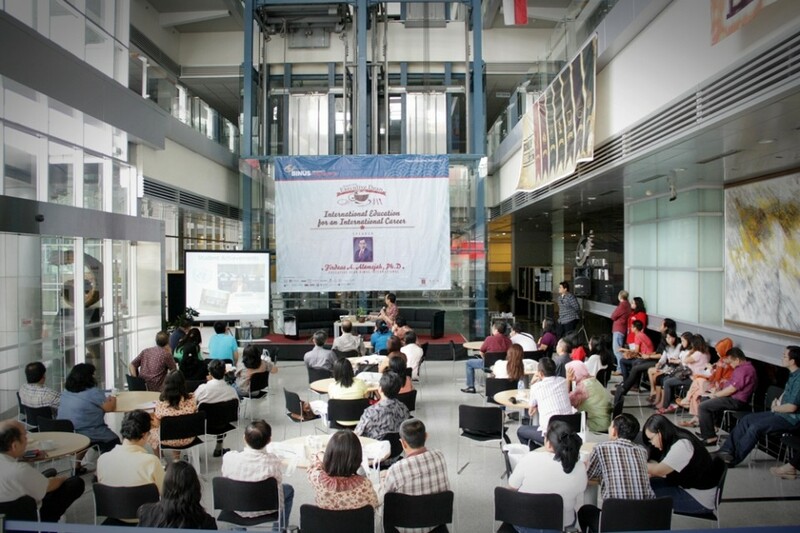 The objective of the event is to show the parents of prospective students that graduates of BINUS INTERNATIONAL are capable of spreading their wings in the international arena with the international standard of education gained during their academic programs. 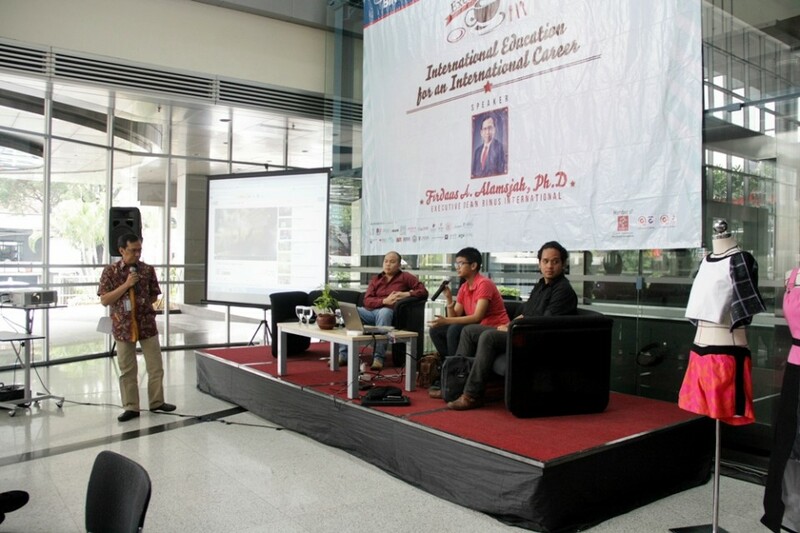 BINUS INTERNATIONAL’s Executive Dean, Firdaus Alamsjah Ph.D, conducted a Q&A session with not only the students and alumni of BINUS INTERNATIONAL, but also using current technology, he interacted with overseas alumni of BINUS INTERNATIONAL through Skype. “BINUS INTERNATIONAL is very supportive to my career in the world of fashion. The crystal clear example is my participation in the Jakarta Fashion Week 2014 themed ‘Urban Myths: The Mystical Borneo’. 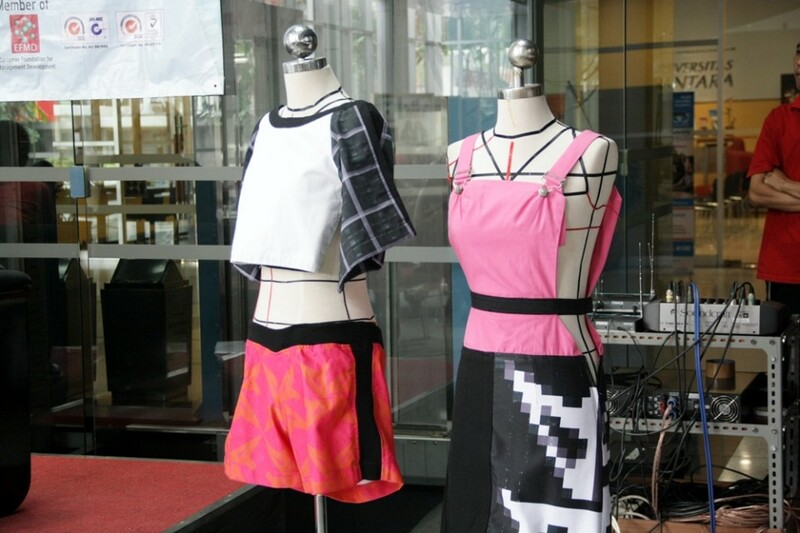 Compared with the fashion majors from other universities in Indonesia, there has not been even one university that gives such a golden opportunity to their students. If there is, it is usually to post-graduates, not undergraduates. I feel so appreciated. BINUS INTERNATIONAL doesn’t undermine my goals,” said Ranti, a student of fashion management at BINUS INTERNATIONAL. She is currently in her fifth semester.